Iris and Livingston Manor Battle of the Books team members in 2015 after winning 1st place! This winter certainly has been a whirlwind. We have had warm, cold, ice, rain, snow and everything in between. Manor Ink did a combined paper for January and February. Now we are jumping into spring with the April issue. I recently became involved in helping create a youth March in Washington DC this summer. It is a call for all young people and adults to come out on July 21 and march about climate change. Jamie Margolin, a 16-year-old from Washington state, feels that our country needs to pay more attention to the reality of climate change and the impact it will have on our generation. She and others like myself have come together to create a platform, and organize a day of action with youth at the forefront. If you are interested you can find out more at thisiszerohour.org and follow Zero Hour on Facebook and Instagram. This is just one group of teenagers. It is one way I am using my voice to spread a message. What do you care about? I am working on a national level now, but my start was in the Catskills. Past library director, Peggy Johansen, and Manor Ink mentors opened the door for me to get more involved in my community. My intention for this year is that youth voice grows and flourishes, both on a national and local level. 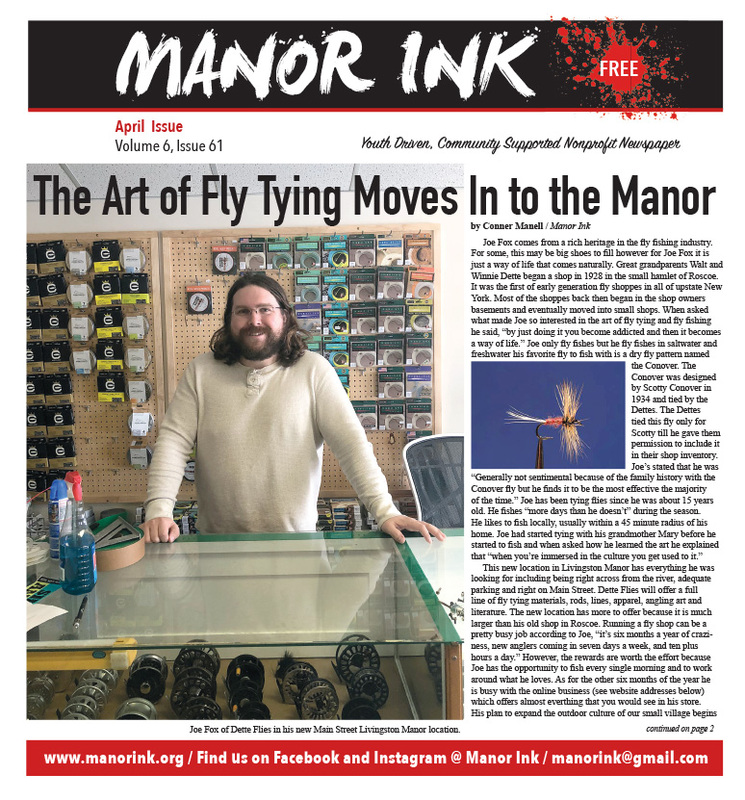 Manor Ink thanks you for supporting youth voices through journalism. The kids of today are the leaders of tomorrow. How else can you help lift up youth in your life? And for the youth, I want to hear your perspective on issues, politics, and concerns in your school and community.